At Utopia & Utility we combine functional & fanstastical. 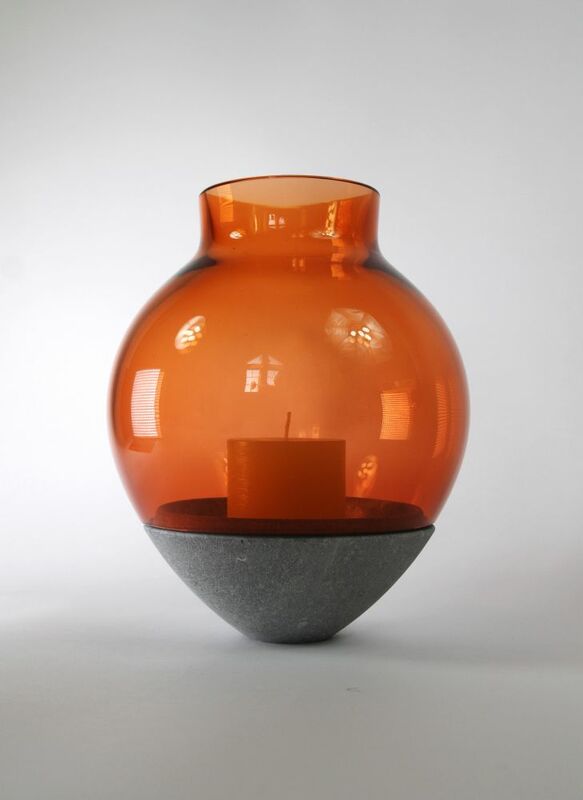 'Antique' is a sculptural candle holder, handmade in Europe by individual craftsmen. We believe that everything that deserves to be made; deserves to be made well. From the process to the finished objects, our motivation is to enrich life through beauty. Our product philosophy at Utopia & utility is to combine traditional materials in innovative ways that change conventional perceptions. Crafts is at the heart of everything, we work closely with various European makers to develop and produce all our pieces. The Glass is blown by a team of four men in Bohemia, Czech Republic, where the glass making tradition dates back to 1250. The soapstone we work with is mined from the ground in Finland. It gets cut and shaped on a lathe in a small factory in rural Finland. All of these parts come together in our Workshop in North Germany, the pieces are composed as a whole and send to our Galleries and customers. A work of craft and design, rich in narrative and design. ‘We believe that everything that deserves to be made, deserves to be made well.